The trilogy that started nineteen years ago, has finally come to its conclusion… Or has it? One of the most anticipated movies of the year, as Rotten Tomatoes told us, does it amaze or disappoint us? 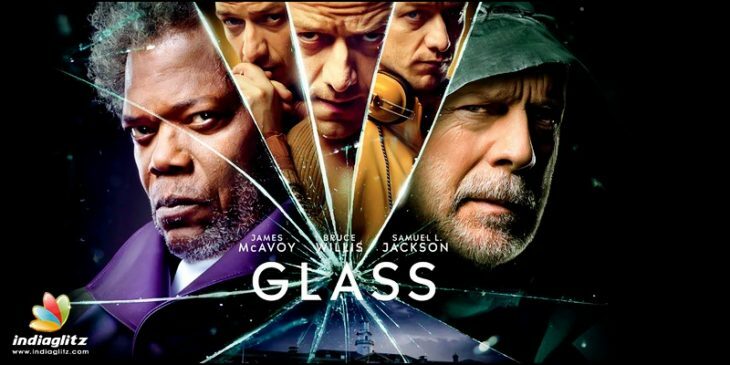 Glass is a fairly unexpected continuation to Split (2016), which was very unexpected continuation to Unbreakable (2000). When Bruce Willis from Unbreakable appeared in the post-credit scene of Split, a lot of people wow’ed… Or at least those who remembered the film that came out sixteen years ago. It was unexpected, true, and Split was a good movie, wasn’t it? That, plus really good cast (Bruce Willis, Samuel L. Jackson and James McAvoy are certainly not the unknown names) and of course M. Night Shyamalan as a director, who proved himself in the previous two movies, left us with hope of something awesome. They shouldn’t have; they lied. Split, with a budget of $9 million, collected unbelievable $278,5 million. Glass won’t repeat its success. David Dunn (Bruce Willis) continues his duty as The Overseer, and now he is able to catch The Beast (James McAvoy), who kidnaps women. However, Elijah Price (Samuel L. Jackson) has other plans and intervenes with Dunn’s desire to capture that maniac. Samuel L. Jackson almost recruits a team of superheroes in this movie… Sound familiar? Unfortunately, despite very high expectations, the movie is… meh. James McAvoy is terrific, he plays around a dozen characters and it’s a real joy to watch him, this is probably his best actor work so far (he has twice as many personalities on-screen here than in Split, although we don’t get to see all 24 of them), and as Sam L. Jackson says, “Being in a room with James was a real delight to me. I looked at him and was like, damn, am I even able to do it?”. Samuel and Bruce don’t let down too. Badass as ever. The plot lacks very much, relationships between heroes in the asylum are awful. The film doesn’t have its “roots”, it seems like any wind can blow the plot away for good. And even though the actors do their job very well, music and picture are decent for the budget… M. Night Shyamalan’s creativity didn’t last for the whole trilogy. The year is still young, but it seems like we have already got the biggest disappointment of a movie. It isn’t entirely bad; it just used to promise way more than it delivered.